In business since 1979 when Las Vegas was more wild west than wild parties, Bill's Gamblin' Hall(Formerly the Barbary Coast Hotel & Casino) has been a slice of old in the middle of the ever changing strip landscape. 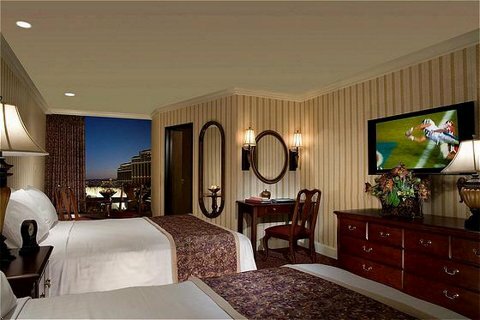 Don't let the 198 total rooms fool you though, Bill's rooms are built for cozy comfort but to today�s Las Vegas guests expectations. The bedding used can actually be found just across the strip, at the ultra lux Bellagio hotel! That is right, the same pillow as the five diamond Bellagio is also found at Bill's, the Conformance Supreme by National Sleep Products �/Restful Nights �. 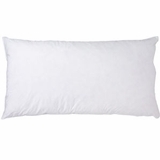 The poly-cluster fill makes this pillow the perfect firmness for any sleep profile and the comfort will last and last. Discover a pillow that is found all over Las Vegas with the Conformance Supreme by National Sleep Products �/Restful Nights �! The Bill�s Gamblin� Hall � trademark is the property of Harrah�s Entertainment �; this trademark is not owned or licensed by HotelPillow.com. The Bill�s Gamblin� Hall � trademark is used on this website for descriptive purposes to inform customers of HotelPillow.com that the Conformance Supreme Pillow sold by HotelPillow.com is the same pillow found at Bill�s Gamblin� Hall � properties. The Conformance Supreme Pillow is not manufactured by Harrahs Entertainment �.